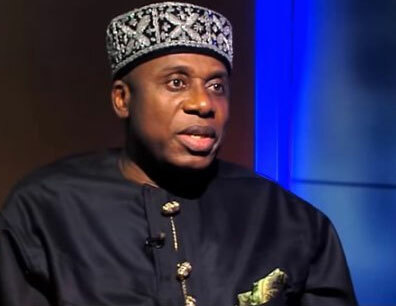 Enugu- The Director General of Buhari Campaign Organisation and former Governor of Rivers State, Rotimi Chibuike Amechi, has said that the South East geopolitical zone will produce the President in 2023, if the Igbo vote for Buhari during the February 16 presidential election. This was even as President Buhari himself said that he had no new promises to make to people of the geopolitical zone. He said: “Other zones have taken their their turn, it is the turn of the Igbo and the easiest way to get there is to vote for Buhari. The former Vice President, Atiku Abubakar will do terms of eight years, if he wins the election but President Buhari will complete his second term of only four years. Buhari on his own said: “Distinguished Ladies and gentle men. I do not have any new promises to make. But I am here to thank you most sincerely for all the time you spent to see and listen to us. ‘’You have been told what projects that are ongoing, and the Minister of Transportation is so optimistic that we promise you to complete the railway line from Port Hacourt to Maiduguri through a number of states in the South East. “He is going to be a problem to me in Council because he is going to say that I was sitting when he made the promise that I must fulfill it. I want to assure you that the promise we made in 2015, we have made earnest substantial progress to execute them..
‘’The people in the North East are in the best position to tell you where they were before we came and where we are now. “The projection of sale of crude oil was 2.1 million barrels per day at an average of S100 per barrel between 1999 and 2014. You know the price now. I keep on repeating this because you know the condition of infrastructure in this nation. “The last time, Abuja to Onitsha road and Abuja to Port Hacourt roads were done was by the PTF days during Abacha’s regime. What did they do with this money? The railway was virtually killed…. “You know it more than I do because you have to bring your wares from Lagos to this place through the terrible roads. If you go through this country now, majority of the population of this country are the youths who are 30 years and below. “ A lot of them, especially in the upper country of the North, do not have the opportunity of good education and education is the best solution to our social problems. With that, they can decide from themselves. Now we have decided that we have to live as Nigerians. We have to, therefore, put more efforts on education. “On the economy, we are lucky for a great number of able bodied and educated people, especially in the Northern part of the country. We have three consecutive rainy seasons. The government made efforts of making fertilizer available at half the price it used to be. And I am telling you that we have virtually achieved food security in this country. We stopped importing rice by at least 90 percent. “Nigerians are now eating Nigerian rice and Nigerian farmers are the best for it. On bribery, corruption, it is a very difficult problem. Under this system, the law enforcement agencies will have to investigate and prosecute. ‘’Before, we used to take people to Kirikiri Prisons and tell them they are guilty until they can prove themselves innocent. Now this system does not accept that. But, because of this same system, I am simply blamed as Baba go slow. ‘’I am seeking your sympathy and understanding. I am doing my best. I keep promising that this time around, anyone who is caught with houses in Abuja, monies in America, Europe and Asia, we will persuade the other arms of government to cooperate with us and bring it back and invest it in infrastructure. ‘’Let me see who will come after this administration and take money and give it to corrupt people like it was done in 1985, 1986 and 1987. ‘’Dear country men and women, we have a fantastic country. Let us join hands to develop our country and hand over a great future to our children and grand children. I foresaw this more than 30 years ago, when I said that we don’t have another country. let us stay here and salvage it together. “ Even those who can afford to train their children outside the shores of this country, where do they go after their education? Don’t they come back? They are coming back here, so we had better stay here and work hard. We have started to do the infrastructure. Sen Eze in his remarks said that APC would win 80 percent of valid votes during the next general elections, pointing out that the large turn out of APC supporters at the rally showed that the people were not happy with what was happening in the state.